It’s time for me to start thinking about what picture(s) I’ll be using for this year’s holiday card. For the last two years, I’ve only included pics of the kids. That’s what everybody wants to see anyway, right? Do you know how hard it is to get a good picture of four people? I don't think I have the patience to try. 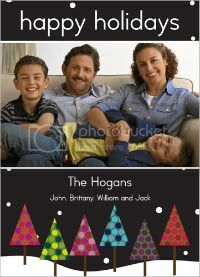 In case you didn’t know, Shutterfly has a great selection of holiday cards. I’ve used them for the last 3 or 4 years. One thing I love is how fast their items ship. In the past, I've ordered address labels, photo books and personalized calendars for the grandparents. 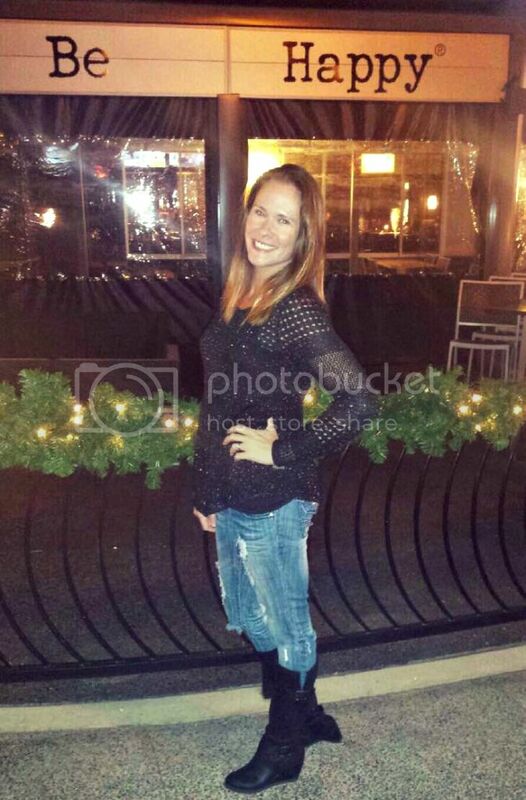 I've recently learned that Shutterfly is offering bloggers a chance at earning 50 free cards. Yes, that's right. You can get 50 free cards! You can click this link to find out more. 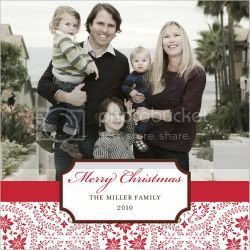 Here are a few of my favorite 2010 Christmas cards designs. 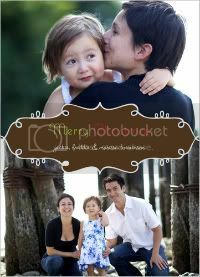 Remember, for this fabulous offer, visit Shutterfly here. I always do, but they're never sent out in a timely manner. I love the designs you picked as your faves. Cute. I have planned on making 60 handmade cards...I am rethinking that idea since it is Nov 12th and I have 0 made so far! I love those designs, too. And I imagine it must be impossible to photograph four people all looking in the same direction. I'm not big on sending Christmas cards... I was at one point, but I never seem to get them out on time and then I feel it looks even worse. But it's a goal of mine to really up my game. Because I feel giant waves of guilt when I receive them. Is that silly, or what?? I really need to do this. REALLY. Awesome promo! I just signed up for it as well. Wasn't planning on doing one this year but maybe we will now with this offer! I always mean to do cards or photos, but I always end up running out of time. When was the law written that cards had to arrive by Christmas Day? It's the holiday season and you have twelve days to get cards to folks you love. Sometimes, planning them for a day or two later makes your card stand out and be remembered. Send to whomever you want to and never to those who make guilt-inducing remarks. Enjoy your holidays and do it, stress-free. I always try to and this year I'm determined to get it done!!! Thank you for the reminder! We dont send out cards. its not really a big thing here. have never done a family christmas card. I've been sending out Shutterfly cards for the past few years also. Thanks for sharing! Plus, Send Out Cards is fully customizable and allows you to use as many pictures as you want, send out personalized cards in your own handwriting right from your computer and send gifts! 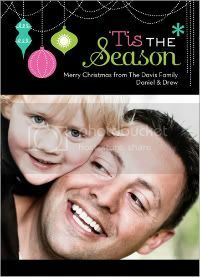 I'm happy to give you and your readers a couple of free Send Out Cards to send out as an early holiday gift. Damn me for ordering mine already through Snapfish. I love the deals Shutterfly has sometimes. 50 free cards? That's just badass.